Here's what everyone can learn from the legendary composer. As one of the most famous composers of all time, Ludwig van Beethoven played a large influence in music. To this day, Beethoven is widely celebrated for his musical works. He was an innovator and an undisputed master at his art. Things weren’t always easy for him though. From a young age, he dedicated his life to become even better at his work — meaning countless hours of practice, revisions, and overcoming many personal and professional difficulties. Yet how did someone who was deaf manage to compose some of the greatest musical works known to this day? His dedication shows that if you want to succeed, expect obstacles. We can all learn from him on how to approach our own goals in life. 1. Dun dun dun dun! Beethoven began his Symphony №5 with a loud, thunderous introduction. Even in the year 1808, Beethoven knew how to wake up his audience and get them listening. Creating an attention-grabbing hook gets people interested in what you want to say. 2. Work around your obstacles. At age 26, Beethoven began experiencing hearing difficulties. Over time, his hearing worsened to the point that he became completely deaf. He was devastated and had suicidal thoughts, since he believed that this meant his music career was over. But later, he changed his mindset and was determined to continue producing music. And so he did. Beethoven composed some of his greatest works while he was deaf, including pieces such as Moonlight Sonata and Fur Elise. Everyone faces obstacles at points in their life. Instead of making excuses for why something won’t work, find a way to overcome your challenges. 3. You are never too good to get help. Beethoven was acknowledged as a child prodigy by his father, who was his first music teacher. Throughout his youth, he had other instructors to guide him. In his adult years, he continued to learn under the tutelage of others. At this point, he was gaining popularity and success, but he still sought the instruction of others for feedback and improvement. The world’s best in any field have coaches and instructors to guide them in becoming even better. 4. Be willing to work unpaid if it leads to better opportunities. Beethoven initially worked unpaid for a court organist, Christian Gottlobe Neefe, for three years before getting paid for his work. During this time, Neefe helped Beethoven write his first published composition and get his music noticed by patrons. When you begin a venture, you shouldn’t expect rewards immediately. Instead, gain a long-term perspective, knowing that if you put in the hard work now, your work will pay off. 5. Surround yourself with people who will contribute to your successes. Beethoven moved to Vienna in the hopes of meeting Mozart. In the process, he was introduced to other important people in the process who would act as mentors and financial supporters. He surrounded himself with people who were enthusiastic about his work, enabling him to get motivational and financial support to continue his art. Your environment is one of the most important factors for your growth. By placing yourself somewhere that aligns with your goals, you can reach them much more quickly. 6. Be willing to wait. Part of being strategic in releasing content is waiting for the right time. Sometimes choosing to act at a later time is wiser. Although Beethoven’s reputation as a piano virtuoso was rising, he chose to withhold works from publication until they would have a greater impact. Two years later, he had his first public performance. He decided to have his works published then, which proved to be a large financial success. The best way to start off is often by studying the masters in your field. After you have absorbed the knowledge needed, you can later add your own personal style. Beethoven studied Mozart’s music intensely in his earlier years, and his music reflects this influence. In later stages, Beethoven’s style evolved as he began exploring other ways to compose music. 8. Capitalize on your successes. When you achieve one success, you can capitalize on it for further success. Beethoven created a composition for the ballet The Creatures of Prometheus. Early on, the ballet proved to be very popular. Beethoven took note and quickly decided to publish a piano arrangement soon afterward. His move subsequently enabled him to charge premium prices for his concerts. 9. Make use of popular trends and events. When Beethoven heard that Napoleon was defeated by the Duke of Wellington’s forces, he composed a battle symphony and named it Wellington’s Victory. The work proved to be a success when performed at a charity for war victims. This event set the stage for Beethoven’s compositions to entertain heads of state and diplomats. Listen to your surroundings. This could mean your customers, prospects, and even what others are discussing. Capitalizing on popular topics means you can target your market with better products and services. 10. Sometimes you need to make decisions that won’t pay off right away. Whenever someone does something unusual, there is no doubt that naysayers will pop up. But in order to be extraordinary, it means doing something that others won’t do. Beethoven composed the “Late Quartets”, which was considered very strange sounding at the time. It was described by a composer as “indecipherable, uncorrected horrors.” Despite the negative reviews, he pressed on with his new style of music. It paid off. Opinions later changed as his works influenced musicians and composers such as Richard Wagner and Bela Bartok. 11. Quality beats quantity when it comes to friendships. No matter how popular you become, the quality of your friendships will always be more important than the quantity. A close set of true friends will help you out when you’re down. Throughout his life, Beethoven had accumulated a close set of friends. When he became deaf and ill during his later years, these friends rushed to help him. He was able to get through this difficult time with their care and attention. 12. Expect and plan for failures. On the road to success, there will be a number of ups and downs. Instead of giving up or stalling, expect and plan for them. Although Beethoven was well-renowned during his life time, there were many times when his works were not well-received and his personal and family struggles made it difficult to make ends meet. Beethoven received numerous pledges of payment to continue to compose music. However, at one point only one of the pledges came through, and the war made things even more difficult for him financially. Instead of becoming frustrated and giving up, he took a step back and evaluated his work so far. Doing so brought about a change in musical style as he decided to move in a different direction. His move influenced the shift in Classical music at the time. 13. Your tastes and preferences will evolve over time. Beethoven’s work is divided into three periods: early, middle and late. In each period, he was influenced by different composers and environments. His own personal development and maturity affected his musical style as well. As we get older, our outlook on life and work changes. We might spend time being influenced by different people, or have events occur that change our approach to things. 14. Experts share their knowledge with others. Ever hear the saying, “those who can’t do, teach”? Beethoven’s situation proves the exact opposite. Throughout his life, he had many pupils. He often taught the children of nobility in order to supplement his income. 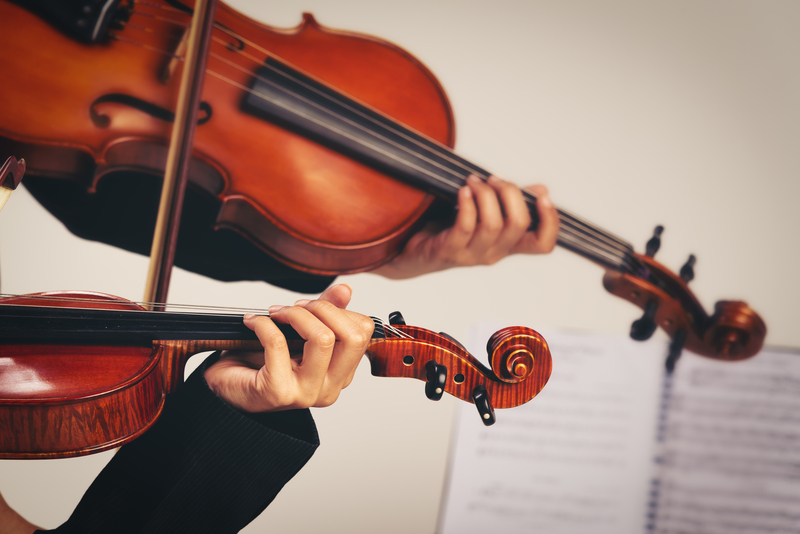 It was a win-win situation because he was able to support himself by sharing his expertise with others, while the students improved their piano and violin playing. 15. Giving to others pays itself back in spades. As a tutor, Beethoven taught Carl Czerny, who went on to become a renowned music teacher. A decade later, Czerny gave the Vienna premiere of Beethoven’s fifth piano concerto. When you help someone, your contributions find a way back to you. While this shouldn’t be the sole reason to teach someone, it is a nice reminder as to why giving to others can be immensely rewarding in numerous ways. 16. At a world-class level, knowing what to do is almost instinctive. When first starting out, everything seems to be a struggle. But with more practice, knowing what to do becomes easier and almost instinctive. Early in his life, Beethoven’s hearing was fine when he was still learning music and studying theory and counterpoint. By the time he went deaf, he could still compose music despite not hearing the sounds. At that point, he didn’t need to rely on hearing music anymore to compose. The combinations of notes just made sense when he read his manuscripts. 17. Create a self-fulfilling prophecy. Beethoven’s father proclaimed his son was a child prodigy, fueling Beethoven’s practice and public performances at a young age. This self-fulfilling prophecy meant that more resources were poured into making Beethoven a musical success. Placing certain attributes on a person encourages the individual to behave accordingly. So if you want someone to behave a certain way, label them. For example, if you call someone a “rock star client” before they start working with you, the person will be motivated to act accordingly. 18. Rise above your circumstances. As a commoner, life wasn’t easy for Beethoven. He was discriminated against in various situations because of his lack of noble blood. Nevertheless, he has left a lasting legacy and his works are widely celebrated today. In life, there are numerous factors that are out of your control, such as your financial and personal background. But this shouldn’t stop you from constantly working to improve yourself. With effort and determination, it is possible to rise above your initial circumstances. 19. Show people how you expect to be treated. Beethoven demanded respect. If the audience began chatting or wasn’t paying full attention, he would simply stop playing the piano. He would also refuse to play if suddenly called upon at a party. If and when he played an instrument, it was on his terms. If you wish to be treated a certain way, your actions need to show it. Setting boundaries and expectations is part of garnering respect from others. 20. People respond to emotions. Beethoven’s personal struggles influenced him to compose emotionally moving pieces, such as the famous Moonlight Sonata. Facts are a commodity. But emotions move and resonate with people. They give something for people to relate with personally. 21. Money is not the primary motivator. Music was Beethoven’s one passion in life. He always strove to compose more memorable, evocative pieces of music. The money came after the music. There is no doubt that money is important. Everyone needs money to sustain their living and continue their work. But money is only a by-product of sharing your expertise. In order to make money, you need to provide value to others first. 22. The best way to create success is to create a lot of output. When Beethoven first started playing the piano, did he know that his pieces would last through the centuries and people would continue to listen to them today? Probably not. But he worked to perfect his craft since he was a young boy up until his later years in life. It’s normal to want a shortcut to success, but any level of success requires years of dedication and persistence before things pay off. Beethoven had his first public performance in March 1778 at the age of only seven years old. It’s true that it’s never too late to start something. But it’s best to start early, since mastering a skill takes years. 24. Don’t be afraid to outsource if necessary. Beethoven had to deal with publishers when it came to his musical works, at which point his brother Carl stepped in. Carl helped him manage the business aspects by negotiating higher prices and encouraged Beethoven to make arrangements and transcriptions of his popular works for various instruments. If something isn’t your expertise, it can be worthwhile to find someone else to deal with it while continuing to focus on your specialty. While you might not have a business-minded sibling, but you can always find others to help you work towards your goals. 25. There is always room to improve. Even if we think we are good enough, we can always get better at something. This could mean putting in more work to improve our skills, or taking a different direction. Midway through his music career, Beethoven had already composed a number of works. Yet, he still wanted to do even better. And if Beethoven thinks he can do better, then all of us can always strive to get better at what we do. How Will You Master Your Craft? Beethoven made the most of his musical talent by surrounding himself with mentors and finding ways to improve himself. His lifelong pursuit of mastering music has led to his continued impact on our world today. What steps will you take today to perfect your craft? Want to do what you love? Then check out my guide How to Get Anything You Want. Does Your Coffee Obsession Aid Your Genius or Hinder It?